What do we actually fear? Many people do not seek help because of the stigma associated with psychotherapy; namely, the notion of being seen as weak, inadequate, or flawed. Although our beliefs can inform us that something may threaten our self-regard, we are often unaware of what we actually fear and why we are afraid of it. The interaction of our thoughts and feelings (cognitions and emotions) is important in our perception of stigma, where we associate certain circumstances, qualities, or people with a mark of disgrace. Generally, people avoid the stigma associated with psychotherapy because of what they think. However, what they may actually fear is the activation of shame and all of their emotional memories of the times when shame was experienced. When shame is activated it motivates us to hide in an attempt to save face, yet facing shame can provide us with tremendous opportunities for learning and growth. Shame is a negative emotional state characterized by painful feelings of exposure, deflation, helplessness, inadequacy, or incompetence. When we experience shame, there are several typical responses that are used to defend against or cope with the highly unpleasant effects of the emotion. Withdrawal is perhaps the most common and immediate response one has to a moment of shame or even its mildest form, embarrassment. We have all felt like disappearing into a hole in the ground after saying or doing something embarrassing in front of others. Withdrawal removes us from situations that cause shame since we may fear that others will see us as defective. Avoidance in response to shame is an attempt to eliminate intense feelings from conscious awareness and it helps us to deny any appearance of inferiority or weakness. In this way, shame reduction may be the most common motivator of addictive behaviors. Whether the addiction has to do with alcohol, substances, food, sexuality, the consumption of goods, or workaholism, shame avoidance is at its core. 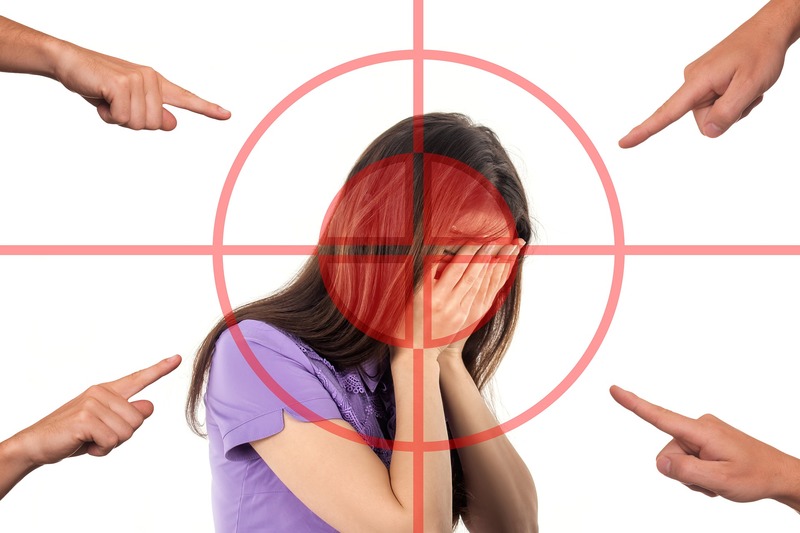 In an effort to deal with shame we may also attack ourselves with self-recrimination, self-mutilation, or reckless behaviors, or we may direct our attacks toward others using anger and blame in an effort to shift attention away from ourselves and onto another person or thing. Shame plays a critical role in what goes well or poorly in our attachment to others. It is a common source of conflict in intimate and social relationships, yet it also motivates one to reconnect with others when something gets in the way of the positive feelings of emotional intimacy. Longing, disappointment, grief, anger, loneliness, jealousy, or rejection sensitivity can all be conceptualized as shame-related phenomena that result from an obstacle to what was once positive. Thus the goal of dealing with shame is to learn, change, or to do something to restore the good feelings that were lost. As well, shame motivates a desire to change the self. Consider everyday examples where shame or shame-anxiety draw attention to characteristics or behaviors a person may want to change, such as losing weight, overcoming an addiction, or simply washing an accumulation of dirty dishes before guests arrive. When shame can be exposed in an atmosphere of safety, such as psychotherapy, it’s primary upside can be recognized: shame exists to inform as well as to protect the self. In fact, the alliance between the therapist and patient is based on the patient’s sense of safety to expose shame-related experiences and the therapist’s ability to navigate through times when shame impedes a positive working relationship. The threat of experiencing shame is ever-present for patients who are divulging their secrets to a stranger who has the potential to judge, abandon, or become disinterested in them. This is particularly the case when shame dominates a patient’s personality. Shame alters perception as well as thinking, making it more likely that someone dealing with excessive shame will misperceive the therapist as bored, disinterested, or uninvolved. However, if the therapist is in fact bored, disinterested, or uninvolved, then shame will be triggered in every patient who consults him or her. At the beginning of treatment and throughout the course of therapy, both the therapist and patient can expect to be silently evaluated by the other, as is the case in any relational situation where each person forms an initial impression of the other and is self-evaluative as well. As it is between any two individuals, initial contacts with a therapist interface with one’s vulnerability to shame. Psychotherapy may activate emotional memories for the patient that have to do with shame-related issues such as trust, entitlement, deserving help, authority conflicts, or the possibility of being judged. The opportunity for the person in treatment to expose his or her shame, have it both accepted and validated by the therapist, and learn from it, are critical components of their alliance. A positive therapeutic relationship is predicated on the patient’s capacity to expose his or her shame and the therapist’s ability to handle it well, including navigating through those times when shame interferes with a sense of emotional safety.